The test consists of 6 sections containing a total of approximately 55 multiple-choice questions. The percentages after each section title reflect the approximate distribution of the total question set across the sections. Understand high-level components of a Guardium solution. Describe the features and capabilities of Data Activity Monitoring (DAM) and File Activity Monitoring (FAM). Describe the features and capabilities of Classification, Entitlement, and Vulnerability Assessment. Use data level access control features (SGATE and Redaction). Describe features and capabilities of available agents and modules (GIM, S-TAP, CAS, etc). Identify the main factors that affect the volume of data managed by Guardium including backups and archives. Understand properties of the systems to be monitored such as operating systems, databases, type of data and volume and their effects. Plan strategy for high availability. Calculate the number and type of appliances required based on Processor Value Unit (PVU) load. Identify the system requirements of Guardium appliances. Locate and download appropriate Guardium appliance and agent installers. Build new collectors and aggregators. Perform initial appliance setup and configuration. Configure appliance data management processes and schedules. Configure the appliance for interfacing with standard systems (mail, SNMP, LDAP, SIEM). Manage the access of Guardium users. Install Guardium Installation Manager (GIM) and upgrade agents and modules with GIM. Install software tap (S-TAP) from command line. Demonstrate detailed understanding of agent configuration and inspection engine parameters. Perform a Vulnerability Assessment test. Differentiate the effects of policy rules and associated actions. Define and use monitoring features such as queries, reports, audit processes, and alerts. Use Guardium self-monitoring reports and alerts. Analyze and act upon errors or exceptions. Identify and resolve appliance performance issues. Optimize internal database tables to maintain performance. Monitor and report on Guardium user activity. Use available IBM troubleshooting resources and services, for example, Knowledge Center, technotes and IBM Support. Plan and install appliance patches and agent upgrades. Collect diagnostic information and troubleshoot problems. Use common Command Line Interface (CLI) and GrdAPI commands including support commands. Restore data and configuration from backups and archives. To prepare for Test C2150-606, it is recommended that you have extensive hands-on product experience, and are familiar with the job role description to which this certification has been built and the test objectives (the skills measured on the test). Compare your own technical level to the test objectives and the training resources below, and then determine for yourself how much preparation you require. Note that these educational sources are recommended, but not required (*) before taking a certification test. The sources collectively cover the skills measured on the test. 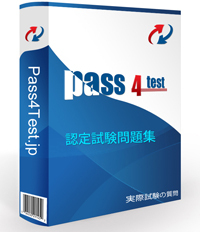 Extensive hands-on product knowledge is required to pass the test. The recommended educational resources listed are not intended to be a substitute for, but should complement, relevant practical experience in the job role. Note: This test is based on V10.0. During test development, this redbook, based on V9.0, was available. As some of this redbook's content applies to questions on the test, it was added to the recommended sources for this test. There is no assessment test for this test. Instead, below are sample test questions.